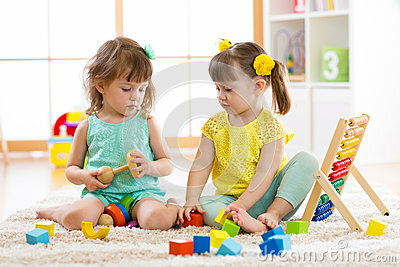 Children playing together with building blocks. Educational toys for preschool and kindergarten kids. Little girls build pyramid toys at home or daycare.